During the recent weeks we spent many hours converting color images to B&W and tried nearly all methods in Photoshop known to mankind (and maybe some new ones too). In the end we came back to use PowerRetouche Black & White Studio. This is not a tutorial as it can be found here. This is a complex tool but so is the task at hand. What we like about B&W studio that is simulates the process that would happen using B&W film. 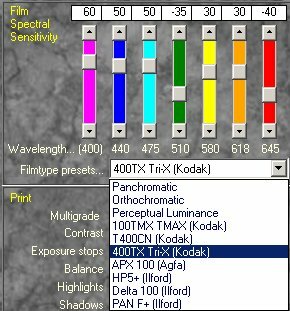 Different B&W films have different spectral sensitivities. 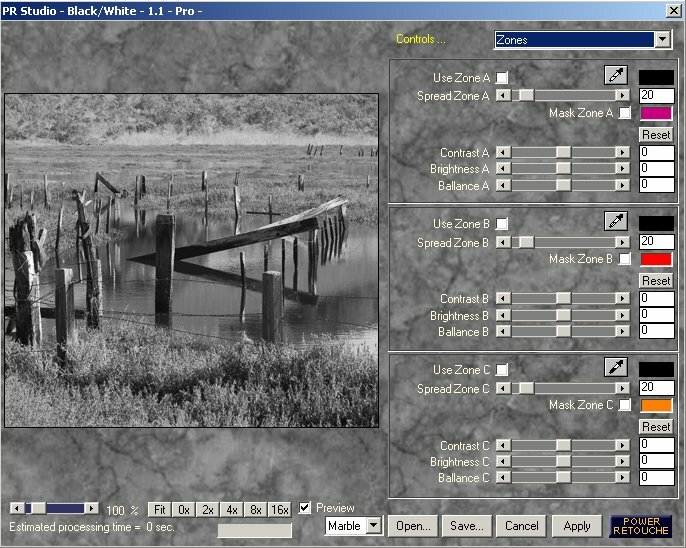 B&W studio lets you select from some presets and then even let you control the seven sliders yourself. We use TriX most of the time. But in some cases we like to show e.g. blue darken then we change the values. All settings in B&W studio can be saved and loaded back. 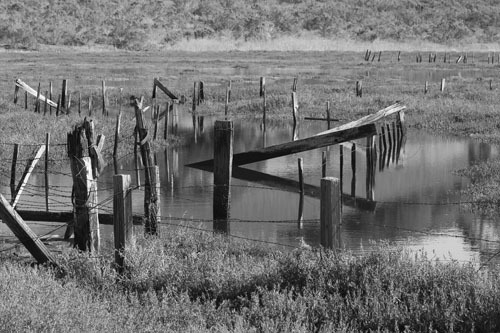 Then B&W studio lets you simulate different filters (like the ones you used with B&W film. Multigrade: You can control the "hardness" of the B&W photo (not quite the same as contrast). 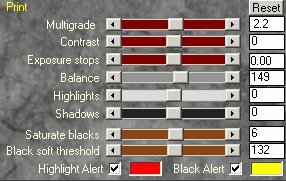 Contrast: Contrast on top of controlling "hardness"
Highlight/Black Alerts: Set highlight alert to on and then eliminate blown highlights with the exposure slider. The zones mode is a world by its own. We do not use this mode yet as we like the film mode. With the new resizable large preview this is a very good B/W plugin. 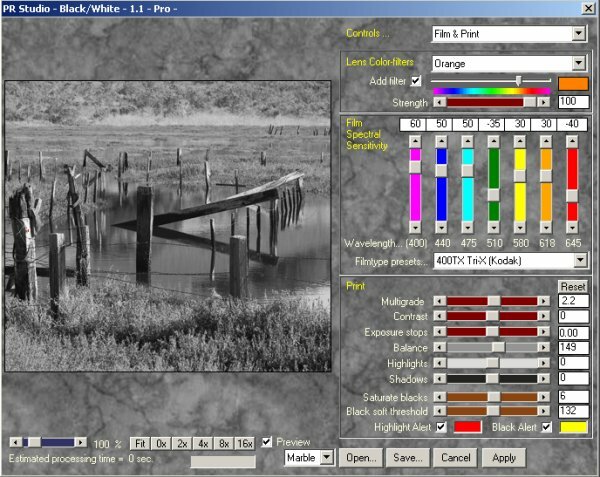 B&W Studio is available for PC & Mac and also works in PS elements 2.